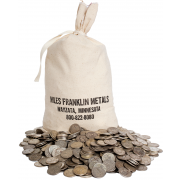 In my role as Precious Metal information communicator, I am asked dozens of questions each week, which over the course of a year accumulates to the thousands. My writings tend to focus on a handful of vital sub-topics, which in turn are molded from the aforementioned questions. Many RANT topics are devoted to such issues, as is this one. 1. Why should I buy physical gold and silver if the government might confiscate it? 2. What use will physical gold and silver have if the dollar collapses, and anarchy and/or chaos reigns? 3. What use will physical gold and silver be if the government bans their use or institutes 90% windfall taxes? Many other variants of these questions are also asked, with the common theme that if gold could be confiscated, decreed to be contraband, or dangerous to hold, why would I want to own it? 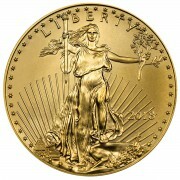 WOULD YOU RATHER HOLD PRICELESS PRECIOUS METALS OR WORTHLESS DOLLARS? The fact that these questions are so often asked reflects four decades of brainwashing that dollars are “money,” when in fact they are nothing more than government-decreed “currency.” Consequently, a “hole” in most people’s psyche’s prevents them from making the connection between fiat currency and REAL MONEY, no matter how plainly it is described. In many ways, I equate it to the “Black Knight” scene in Monty Python’s Holy Grail, when the knight refuses to admit defeat even after his arms and legs are severed. I often feel I am speaking to the Knight’s stump when discussing the differences between gold and “dollars,” as the great majority either do not – or refuse to – understand. For instance, when I say “Would you want to own gold if the dollar collapsed?” their answer is often “what would it be worth?” not understanding that if the dollar collapsed, it wouldn’t be worth ANYTHING! Actually, each of the three questions above has two answers – one, my projection of what might occur under such circumstances, and the other the universal answer stated above. For example, I would start answering question #1 with my views of confiscation, which I have written of exhaustively in the past. In a nutshell, I don’t believe such an act would be practical, enforceable, or helpful to the government’s aims – in fact, to the contrary. That said, governments have never been known for their common sense, so frankly, there is no way of truly handicapping the odds of confiscation. However, let’s say the government does decree confiscation – which, by the way, doesn’t mean they would actually receive any. If so, it would NOT occur until the dollar is under dramatic downward pressure, possibly to the point of outright COLLAPSE due to a loss of public confidence. And again, a dollar “COLLAPSE” has nothing to do with its Euro, Pound, or Yen exchange rate, but its power to purchase REAL ITEMS OF VALUE, such as gold, food, energy, and other life necessities. In other words, the ONLY way such a decree would even be considered – much less passed – would be if rampant inflation was yielding massive social unrest and national instability. Under that scenario – no matter what risks to holding PHYSICAL gold and silver would be engendered – WOULD YOU RATHER HOLD PRICELESS PRECIOUS METALS OR WORTHLESS DOLLARS? In question #2, I could only imagine a world where the rule of might is the rule of law, where thieves and gangs rampage the world stealing and killing the “haves,” as well as the “have nots.” There’s a good chance such a scenario would be identical to the one discussed in question #1 (wherein the government decides to confiscate gold), in which the dollar has already collapsed in value against REAL ITEMS OF VALUE. And finally, in question #3, one could own gold and silver but not use it, at least not in public forums. To me, such a decree is no different from the confiscation discussed in question #1, except it would not be illegal to own it. Such a scenario makes the least sense of all, as not only would it just drive up gold’s worldwide price and down America’s credibility, but the government wouldn’t even get to take it from you – unless given up voluntarily, of course. Which would only encourage development of a PM black market, no different than that of alcohol during Prohibition. Indeed so. In fact, many Americans did not turn in their gold when Executive Order 6102 came out. They kept it and realized a large gain when the government devalued the US dollar from $20.67 per gold oz. 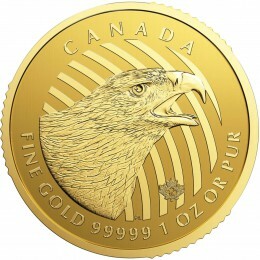 to $35 per gold oz. It would be very naive indeed not to think that there was no gold being used in many local black markets back in the 1930s. The simple fact of the matter is, gold and silver are REAL money and Federal Reserve Notes are not. 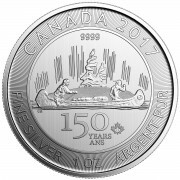 Gold and silver ARE payment in full of a debt while mere “notes” are only a promise to pay at some later and perhaps nebulous date. This makes FRNs nothing but a promissory note and it is the politicians and Fed who are making that promise. Now… would you want the future well-being and lives of yourself and your family members to hang in the balance based only upon the promises of such people? Think about that for a few nano seconds and you will know what to do. I know you mentioned you were reading a book on British history. Did you see this? Sorry, I am just reading Gai-Jin by James Clavell. Will post in the Mailbox.